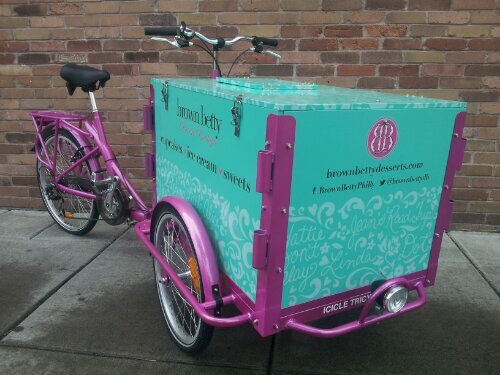 Icicle Tricycles hand builds custom Pastry Delivery Bikes! 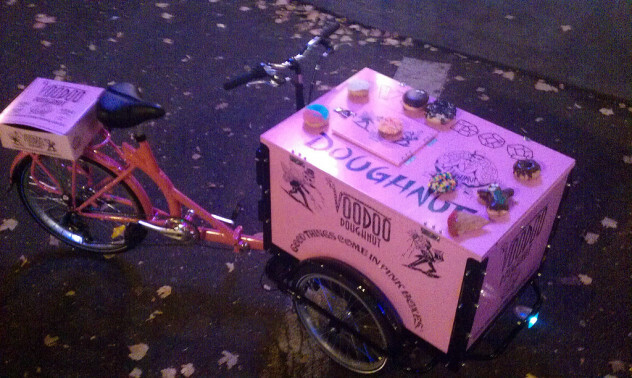 Cupcake Bikes, Donut Bikes, Wedding Cake Bikes, Pie Bikes, Bread Delivery Trikes, and more. You bake it, we help you roll it! Icicle Tricycles has a long history helping bakers roll out their business plans. We love to get hot baked goods their own wheels! Be it cupcakes, pies, donuts, french bread baguettes, or even fresh hot pizza, Icicle Tricycles does not discriminate against delicious treats. We are always happy to help bakers and desert makers get rolling! 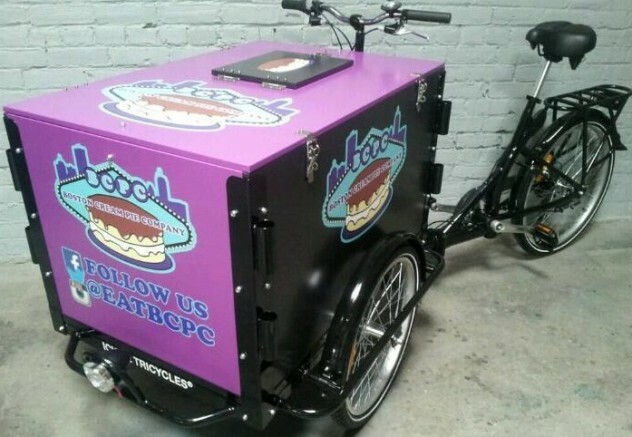 Whether you’re a pastry vendor looking for a new way to roll out your treats, or a restaurant owner seeking a convenient method to pick up or drop off fresh bread, we can build a business trike for it. We have built pie bikes, muffin bikes, cupcake bikes, doughnut bikes, and even Boston Cream Pie Bikes! Great for vending or catering, our bread and pastry bikes are perfect for farmers markets, street fairs, outdoor festivals, tailgate parties, food truck lots, food cart blocks, and anywhere someone might be hungry for fresh oats and grain!